Add in almond flour and beaten egg, stir. Divide your dough into 5 sections and form each one into a pretzel shape and place on baking sheet. If you find your dough too sticky, wet your hands. In a small bowl, melt the coconut oil and butter in microwave (About 15 seconds). In a separate small dish, whisk together the sweetener and cinnamon. 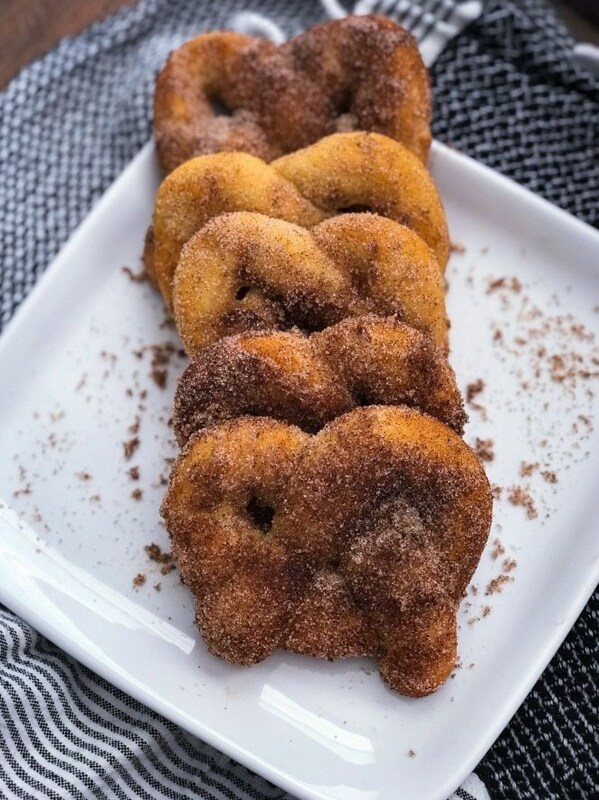 Brush the pretzels with the coconut oil and butter mixture, then immediately toss into the cinnamon-sugar mixture to coat.